Kendall Curity™ Ultra Fits™ Baby Diapers features RAPID-DRY™ system that quickly locks moisture into the absorbent core for improved dryness. Pop-up leg gathers extra leakage protection and resealable tabs help with easy inspection and adjustment. It is latex-free and the stretch waist provides a comfortable fit. 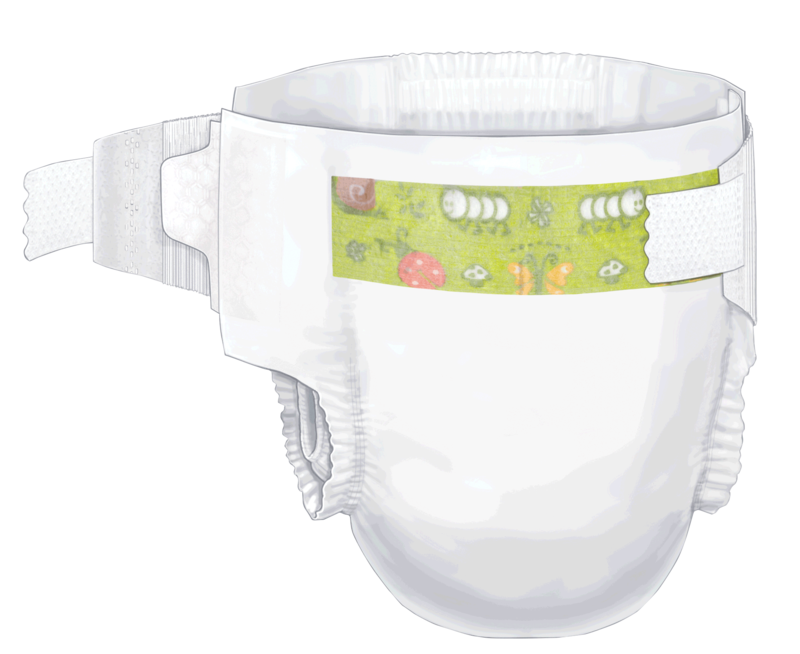 Kendall Curity™ Ultra Fits™ Baby Diapers utilize a cloth-like backing for soft, comfortable protection. The RAPID-DRY™ System quickly locks moisture into the absorbent core. Standing leg cuffs for additional leakage protection. Refastenable hook and loop fastening system. Features a fun, new, Clifford the Dog design.